Did you know that by the time your little one is 10 years old, you may have been through up to five different car seat configurations? One baby + five separate car seats...we may not have made it past pre-calc (true story), but something isn't adding up. Lots of mamas may not realize it, but it is possible to use one car seat from the infant days all the way through the big kid years. 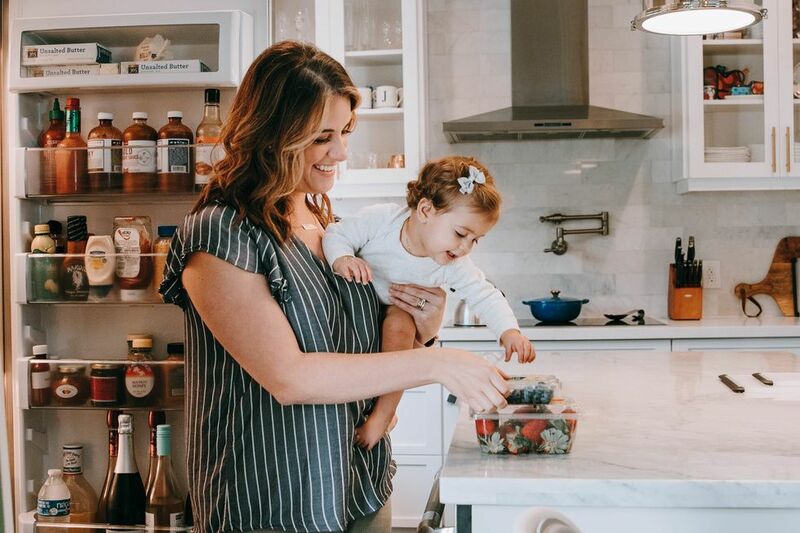 Car seats that accommodate kiddos from birth up to 10 years old are on the rise, and since we are all about money-saving products that grow with your baby and swoon over minimalist baby products with a "less, better, beautiful" mantra, we wanted to break down the pros + cons for you and share our favorite picks. So you mean I'll only need one car seat in 10 years? Really? Yup—that's exactly what we mean. All-in-one seats, as they're commonly called, were designed to fit children from birth through 10 years old. (Give or take, of course, depending on the height + weight of your kiddo.) 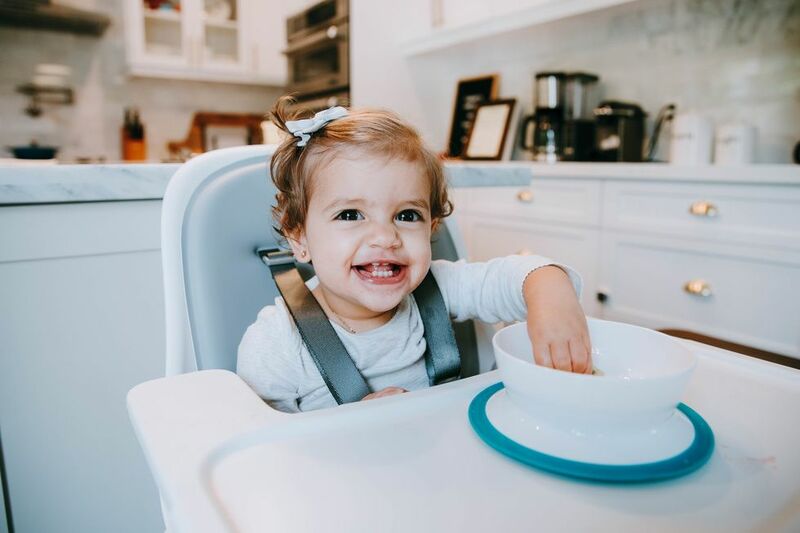 These seats easily transform from rear-facing for infants and toddlers, to forward-facing seats for older kiddos, then to a high-back booster, and even then to a backless booster in some cases. Choosing a car seat that fits the needs of you and your family is a pretty personal choice, but, keeping that in mind, there are plenty of reasons to love all-in-one seats. Affordability. The seats grow right along with the changing needs of your infant and child, eliminating the need to buy four separate car seats and instead allowing you to buy just one. Minimalism FTW! Ease. Don't want to think about car seats for the next 10 years? Done and done. While most car seats expire 6-8 years after purchase, all of the all-in-one car seats on our list expire 10 years from date of purchase. Safety. 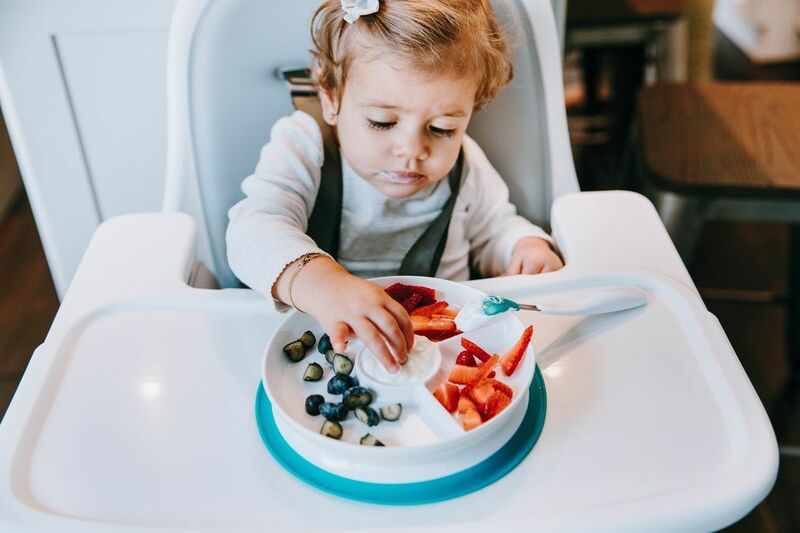 Our all-in-one seat picks are loaded with the newest and best safety features, putting your mind at ease when you're traveling with your little one. 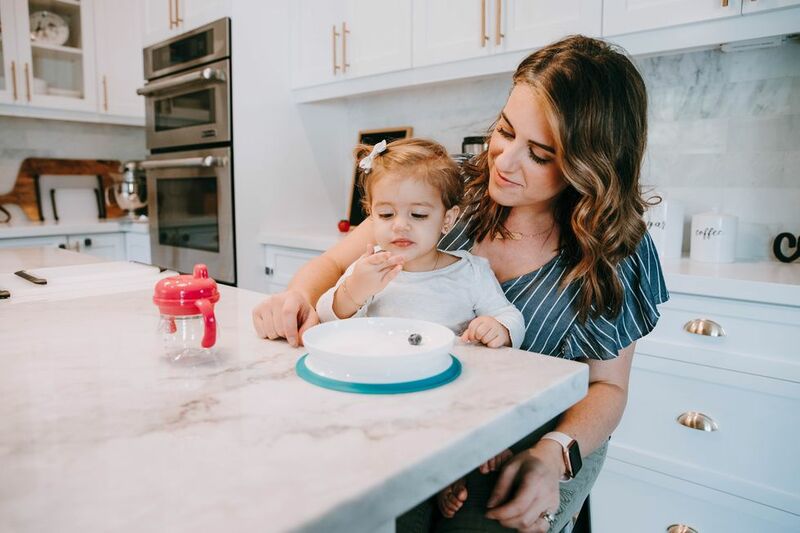 Plus, as your little one grows, you'll easily be able to switch over the seat into its next configuration, making sure you'll never be left in a pinch after a growth spurt. Versatility. Are you transporting different sized children? All-in-one seats make it easy to do just that without the need for multiple seats. All-in-one seats aren't for everyone. If you like the convenience and portability of an infant bucket seat, all-in-ones probably aren't the best choice for you. Another concern is the seat's footprint in your car over a period of time. Lots of families like to switch to narrower, more streamlined seats as their kids get older and their family grows. We've chosen three all-in-one convertible car seats we think are worth checking out. These seats get our top picks for unparalleled safety, comfort, offer beautiful design. We were lucky enough to attend a launch event for this seat earlier this year to check it out in person, and all we can say is...wow. The Magellan is one of the smartest, most beautifully designed car seats we've ever encountered. Safety is another huge pro of the Magellan. 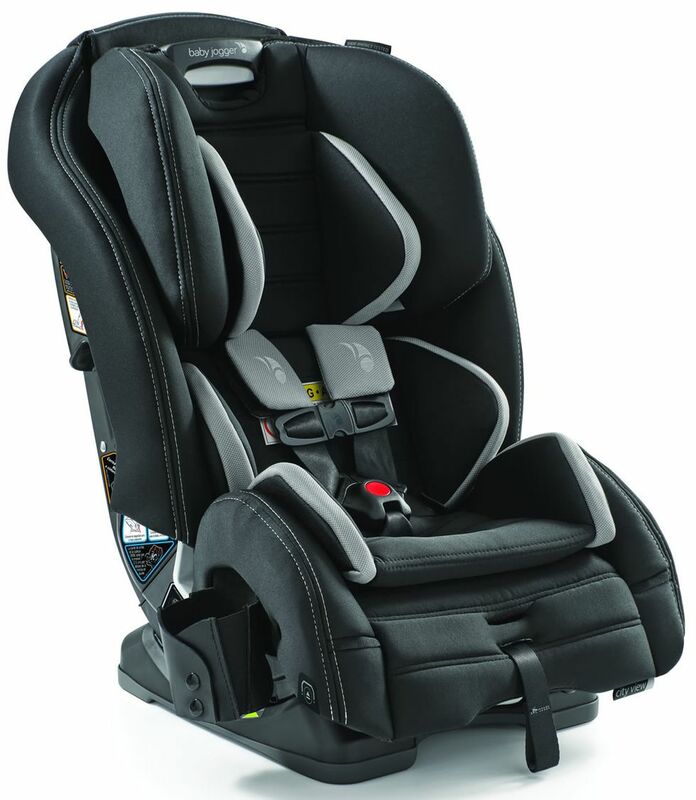 The seat meets and exceeds all safety standards, and includes innovative features like side impact protection that adjusts as the seat converts to different positions. 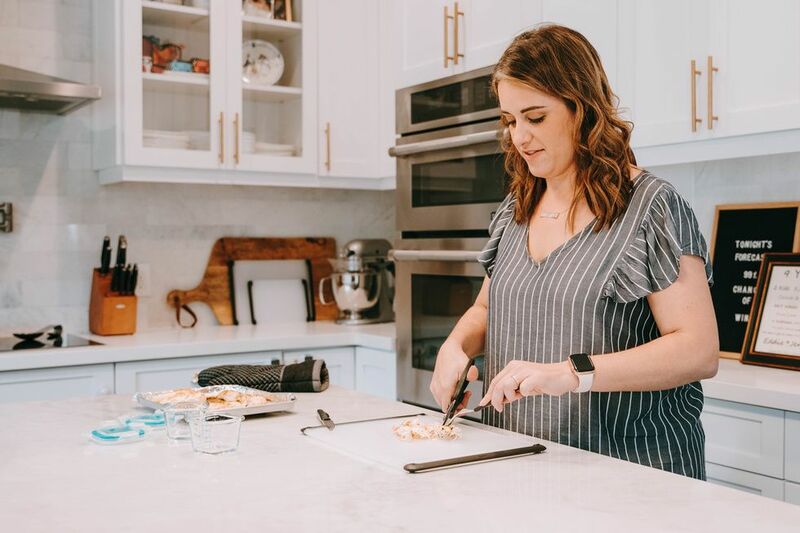 And last but certainly not least, the Magellan is packed with smart features designed to make #momlife a whole lot easier. The chest clip features ClipQuik technology, so it buckles together easily with the help of built-in magnets. The seat also has spring-assisted shoulder harness straps and a buckle that's spring-loaded to point forward—so no more fumbling around for those straps or crotch buckles. Genius! You might know the popular brand Baby Jogger for their amazing strollers, but now they've entered the all-in-one car seat market with the amazing City View—and we are very impressed! It's not only beautiful, but it's filled with all the safety and convenience features you could ever want in an all-in-one seat. 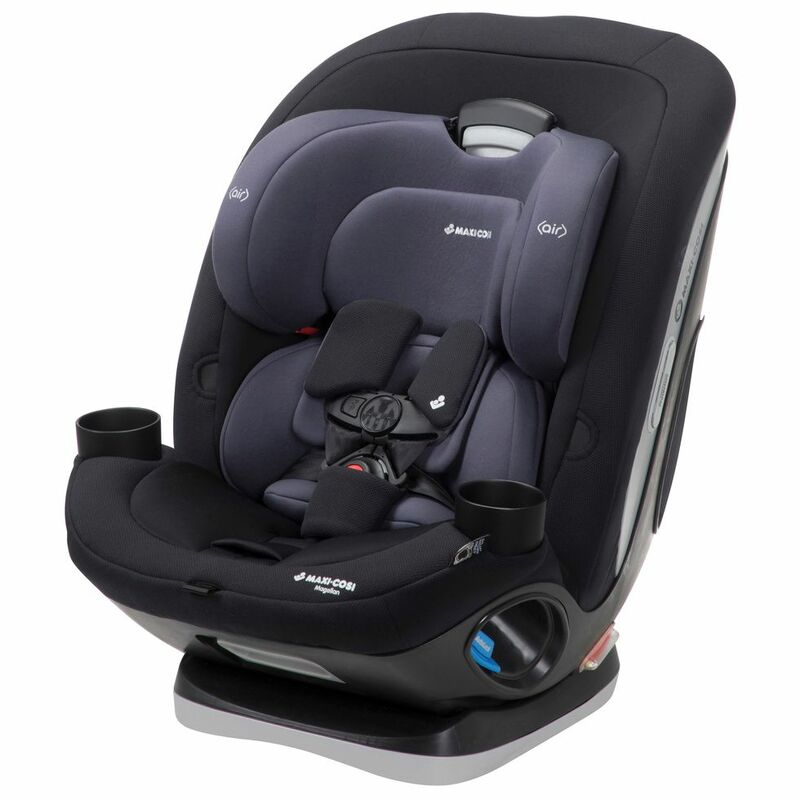 The City View Space Saving All-in-One car seat grows with your little one from 5-100 lbs. Like other all-in-one seats, the City View can be used rear-facing, forward-facing, and eventually as a high back booster seat when your kiddo (and you!) are ready. One of the first things we noticed about this seat (and loved!) is its size. It's super narrow—at only 17.4" wide, it's one of the slimmest all-in-one car seat on our list. Less car seat means more space for passengers or other kiddos in your backseat, and that's a major win in our book. Incredible safety features are also a huge plus with the City View. The seat features an anti-rebound bar, adding an extra layer of protection when rear-facing by reducing the amount of rearward movement of the car seat during a frontal crash by over 45%, according to Baby Jogger. The seat's frame is constructed from steel bars, helping it to retain its structure in the event of an accident. And the seat even uses durable, thicker foam, helping to not only make the seat softer but to also absorb energy in a crash. We also love all of the tired-mom-proof features that were carefully thought out in the design of this seat. Switching from one mode to the next is super easy; you won't need hours of poring over the instruction manual to convert the seat from one mode to another. (Yay!) There are 10 headrest positions, also easy thanks to a no re-thread system, and four recline positions that are very straighforward. And we truly LOVE the easy latch system—it literally clicked right into our car and made installation a breeze. The seat doesn't have a removable fabric cover, but it is able to be spot cleaned, so in the case of spills and messes. 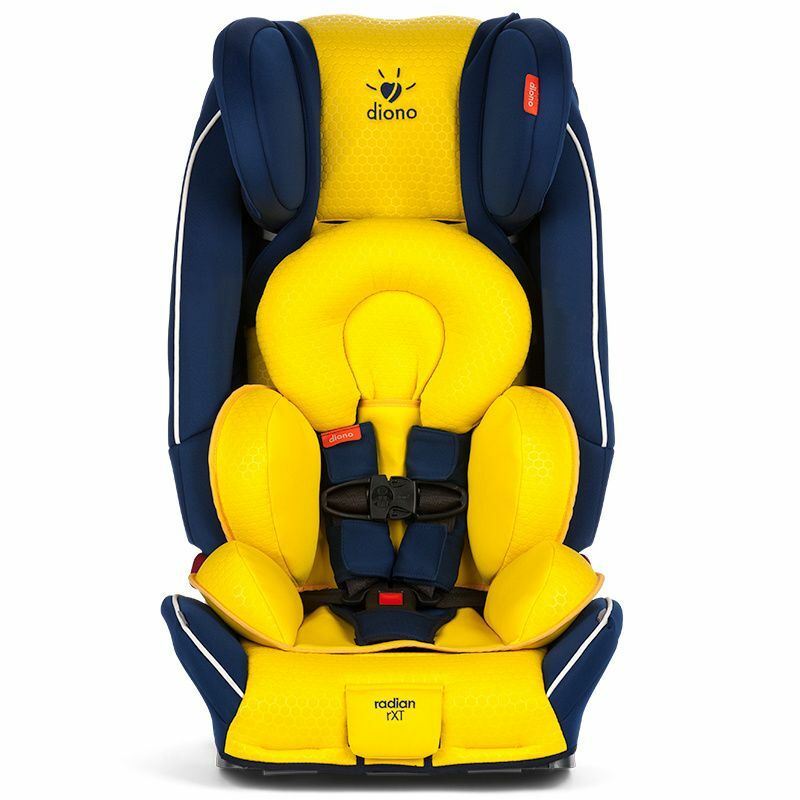 For mamas of multiple young kiddos who need two (or even three) car seats to fit across their car's back seat, Diono has long been a favorite for their narrow, safe car seats. The brand new Just My Color Radian rxT adds a fun, new cool factor to one of our favorite seats—and brings with it all the all-in-one conveniences we've come to appreciate from this car seat. Available in 5 brand new colors, the Just My Color seats are sure to add a little fun to your next carpool. They're stylish, tailored, and come in both vivid, bright colors and more subdued neutrals if that's more your thing. But best of all? They are well thought out, extremely safe, and easy to use. Similar to our other seats on the list, safety is a top priority for the Radian. Featuring a steel allow frame, aluminum reinforced side walls, and energy absorbing foam, your kiddo will be protected from every angle if there's ever a crash. And if you're worried about all of these features making for a bulky seat, don't be—the Radian is our narrowest seat on the list, coming in at only 17" wide. The design is sleek, narrow, and beautiful, and easily fit 3-across along a back seat. The Radian rXT is suitable for kiddos 5-120 lbs. and, like our other all-in-one seats, works rear and forward-facing and as a booster. The seat boasts 12 headrest positions, five harness slot positions, and three crotch buckle positions. We do wish there were a few more seat recline options, but with all the other comfort features built in, our little one didn't seem to mind. We also heart that the seat folds flat for easy storage and portability—it makes traveling so much easier!